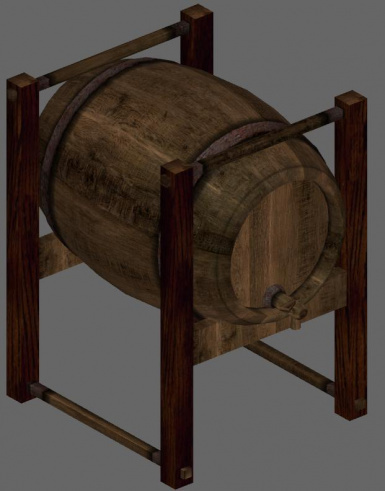 This is a replacer for the two kegstand models in the game. For Installation, its the same procedure as always, stick stuff in the proper folders, which in this case just means dragging stuff into the Data Files folder or using Wrye Mash. So, a few days ago I was looking at my texture replacer packs and noticed one where most of the textures had been superceded by others. I decided to find out what the remaining 15 textures were used for so I could possibly do a better job on some new ones. After looking in the CS and seeing how terrible looking the kegstand I currently have is, I decided to take a closer look in nifskope and discovered a terrible truth. As of writing this, I found that the current replacer came from Mesh Improvements 171 and after seeing the rediculousness of it, I decided to make a better one. Mine looks better, makes better use of polys, and now uses a much better texture. I will let the screen shots speak for themselves. You will notice that a couple of the screenshots have red circles, those are to indicate spots where you can actually see through the mesh on the old nif files, that of course has been fixed as I simply redid the entire keg from scratch rather then try to work with something so jumbled. 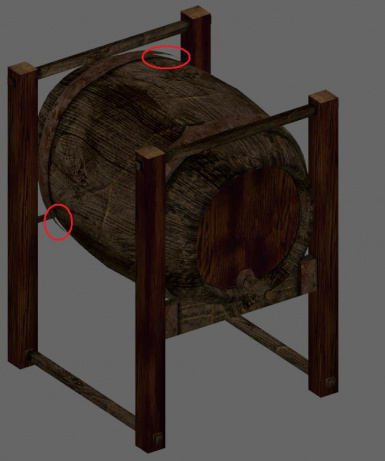 Another improvement is that the ends of the kegs now are the same texture as the sides and it now looks much more consistant then before when the ends used a different texture. 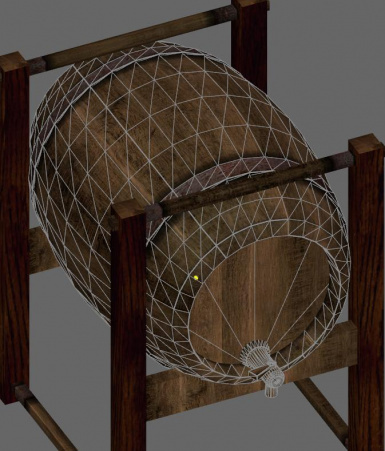 In my opinion I think it looks very much like a real barrel now. 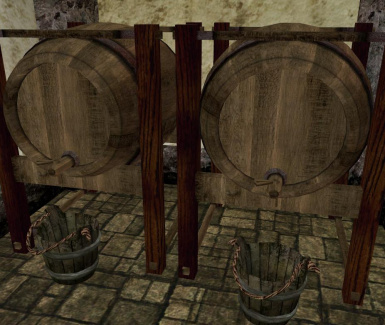 A third improvement is that the beams that support the actual keg I found to be duplicated so that two of them occupied the same spot; the duplicates of course have been removed. You can use this how ever you please, there is no need to ask me for any type of permissions. The point of me making this is for fame and glory, or scratching that, just for people to use and to make MW look better. If you find you are unable to open the .7z file, make sure your unzipping program is up to date. 7z released an update in the last month or two. Hopefully this is all I need to say. Update 3/31/11: Apparently not everyone knows what a bounding box is. f you look in nifskope, you will see a white box, that is the bounding box and its there on purpose. The original meshes which came with the game have them too. Update 11/05/11: Made white collision box invisible in nifskope. 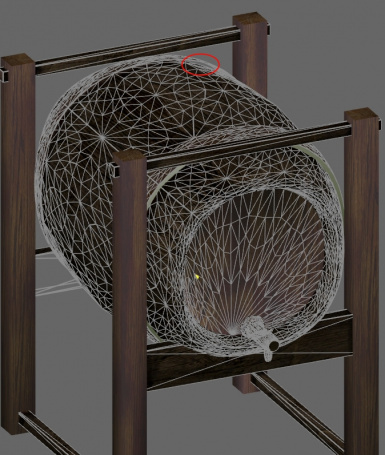 Also, these two meshes are included in the Morrowind Graphics Overhall.